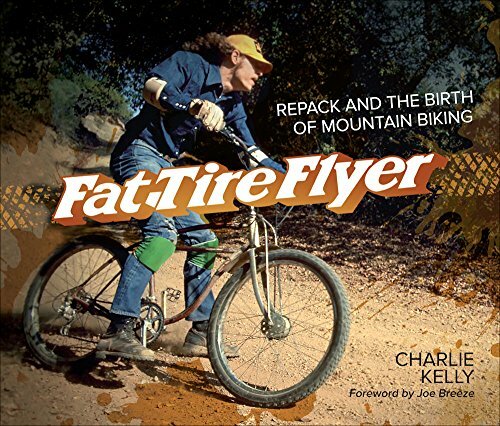 Charles Kelly, a major pioneer of mountain biking dishes out a mind blowing, but true and unabridged story of the rise of mountain biking and its long-lasting culture. It is told as a tale of a crew of hippies blazing the trails of Mount Tamaulipas, in Marin County, California. What began as a friendly competition on the trail they called Repack, slowly intensified and these pioneers of mountain-bikers began to long for something better than the old raggedy bikes they dug out of a dump. With fierce determination and focus, this rag-tag group started off a turn of events from which Repack became a sleek and high-selling machine amongst bicycles. Fat tire flyer can safely be called a fore-runner in the history of mountain bikes and its origin. It is the first book that gives a detailed first-hand account of the birth of these incredible machines, and we are able to understand the movement that sees more mountain-bikes than any other type of bikes being sold. Fat tire flyer is about a new technology being born, good friends and fun times on a machine which brings people with a common passion together. The sport has come a long way since and this beginning story is a highly recommended read for cyclists and bikers with the same love for the sport that Kelly does.